I’ve moved this blog to a whole new site. It really is DesignDisneyRaoul 2.0! 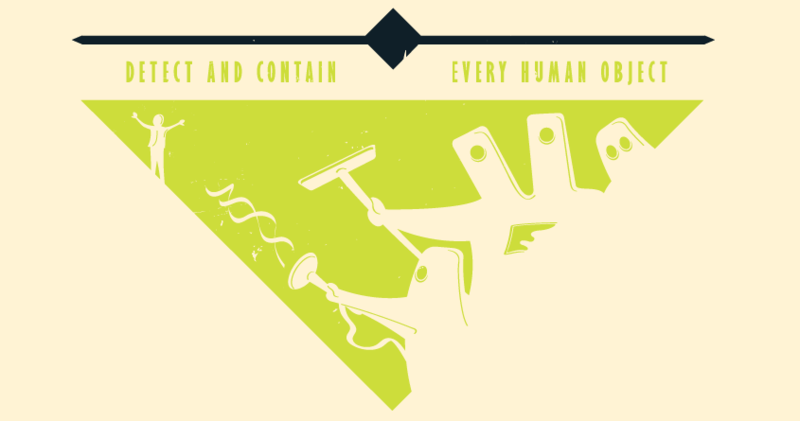 A few weeks ago Threadless released a brand-new design challenge inspired by Pixar’s Monster Inc. The goal is to create a T-shirt design based on the movie. Sound like fun doesn’t it? 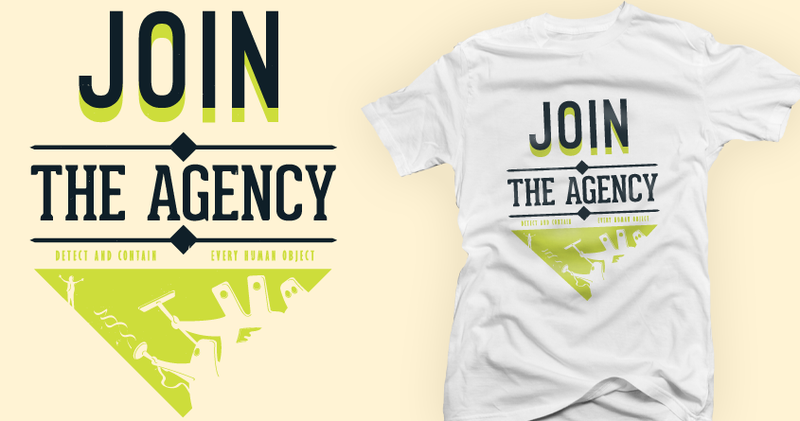 My design is based on the agency that keeps Monstropolis save: the CDA (Child Detection Agency). 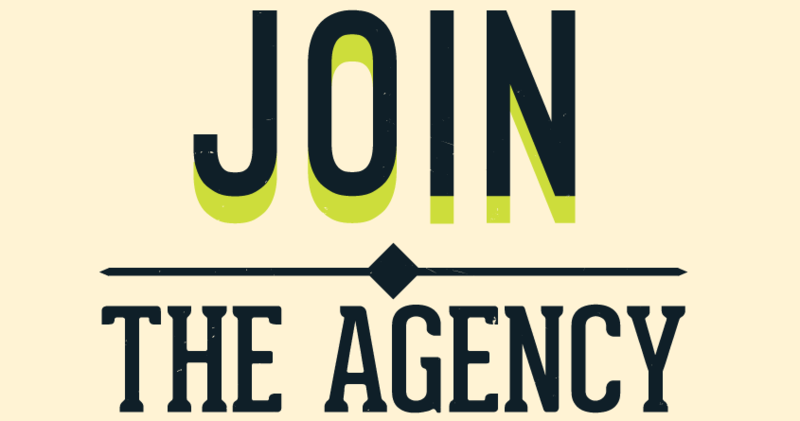 Do you want to join the agency? Please vote for my design, that would help me create more designs for you guys (and girls ofcource). In 1995 Pixar completed their new movie ‘Toy Story’, a tale of the brave toys at Andy’s room. It became a blockbuster and so did the second and third. My T-shirt design honors this movie by making it like Andy would have drawn his best friends. 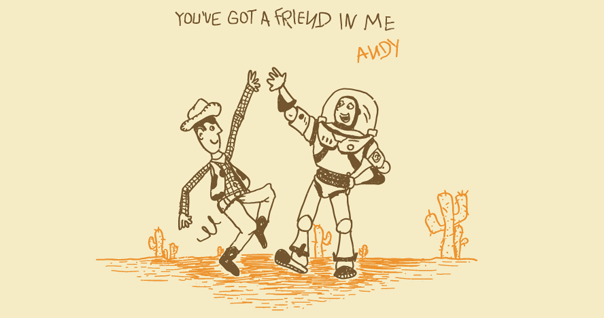 You can see the friendship and joy between these two toys, Buzz Lightyear and Woody. It has a subtle worn-off look. Welcome to my brand-new autograph book serie! This time I was inspired by new meet and greet area of Mickey in Disneyland Paris and Walt Disney World, and the old fashioned Hollywood that never was always will be there. That was something I wanted to capture, and it would be something totally different of all the other autograph books, what is always cool. 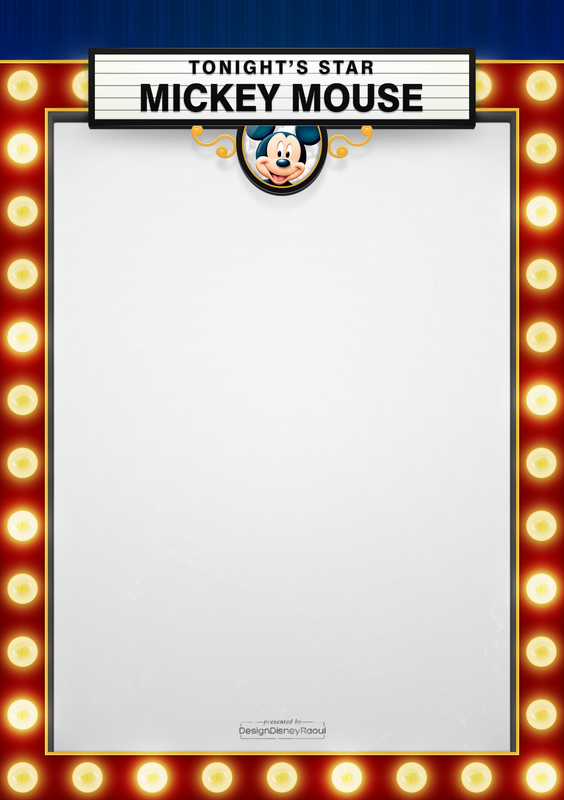 My design is based on the classic showbiz mirrors (those are just typical Hollywood), on top of that I placed a old fashioned cinema banner with the characters name. To finished I created a circular place for a picture, so that you know how Mickey will look. I’ve made a page for 117 characters so far! If your favorite character isn’t in the list please leave a comment, I won’t bite. In this serie you’ll find a cover and the normal pages. As usual you can download the designs you like and place them in your very own autograph book! I’m still working on this serie, at this moment there is just the A5 format. This will change soon, so stay tuned! Download the pages on the new site! 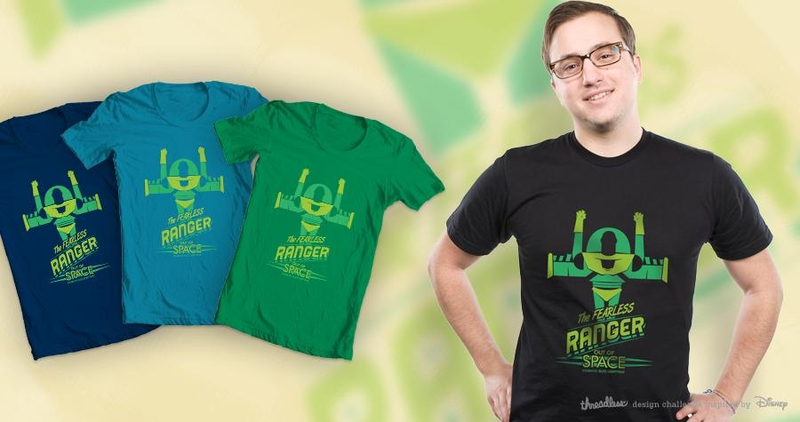 A week ago I was very pleased to read that Threadless has created a design-challenge with as theme: Toy Story. I was really fan of the previous design-challenge “Disney Villians” and specially the awesome T-shirt design created by very talented people. So, when I saw the new challenge I was ready to make my own design! 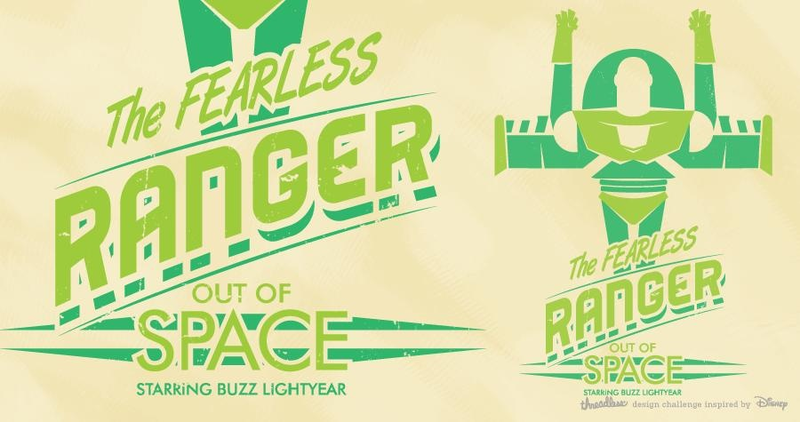 Now, my design is based on the brave, fearless and above all friendly Buzz Lightyear, the spaceranger. I took a minimalistic and a bit vintage take on the beloved character. 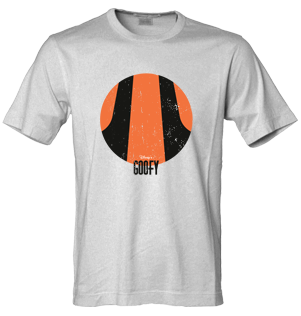 My approach was to create Buzz in a 2-color design with use of negative space. It’s just great to simplify things, isn’t it? The typography under our spaceman describes him, with a touch of vintage flair to it. 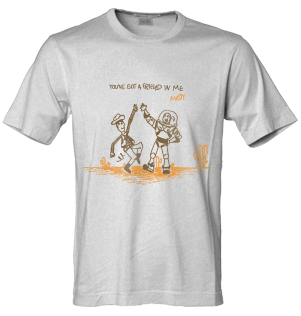 Now, how you you help… You would do me a great pleasure to vote for my design so that it would get printed. 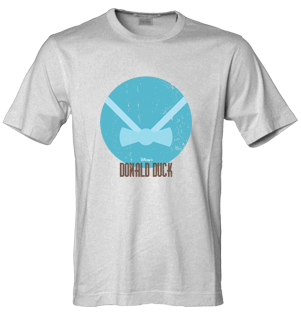 To vote you’ll have to have a Threadless account (it will just take a minute to register yourself). Hi there and welcome for a new part of this serie ‘Circle Characters’. 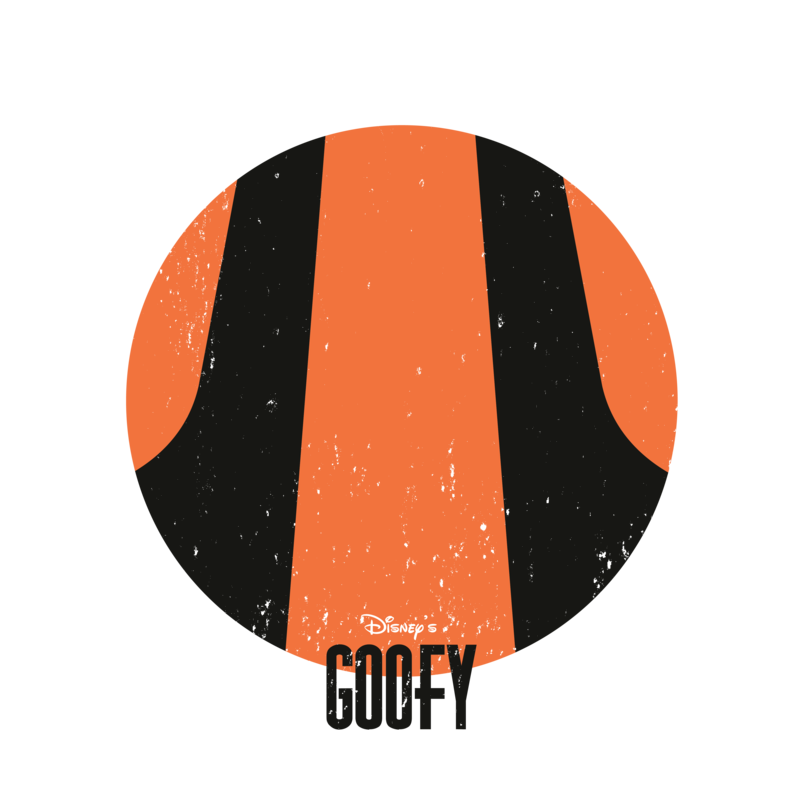 This time it is Goofy who has been simplified. 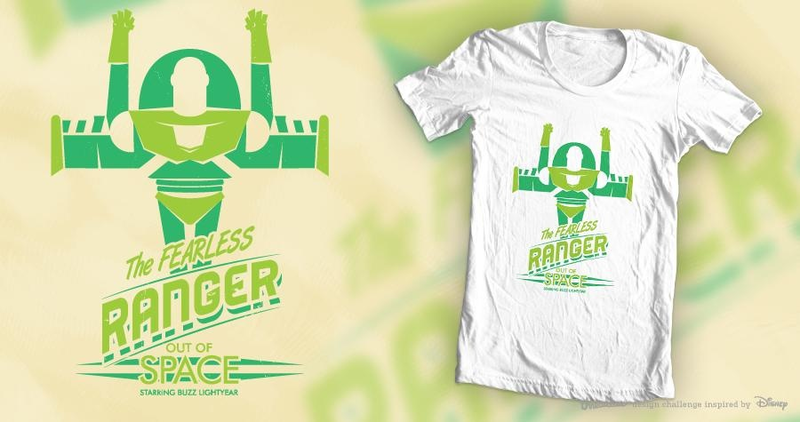 Here is the fifth design of the serie ‘Circle Characters’, now with the one and only Mr. Incredible. 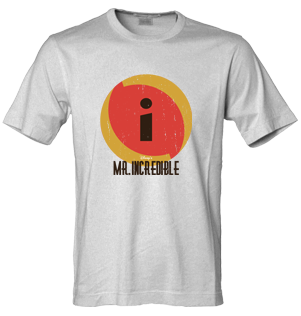 Use this T-shirt for free. I proudly present the cover for my latest autograph book serie ‘Passport’. 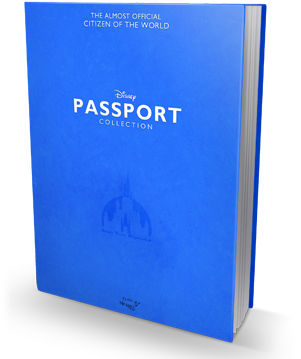 The layout of my design is based on the real European passports, and with the same color scheme found on the passports made for this book. 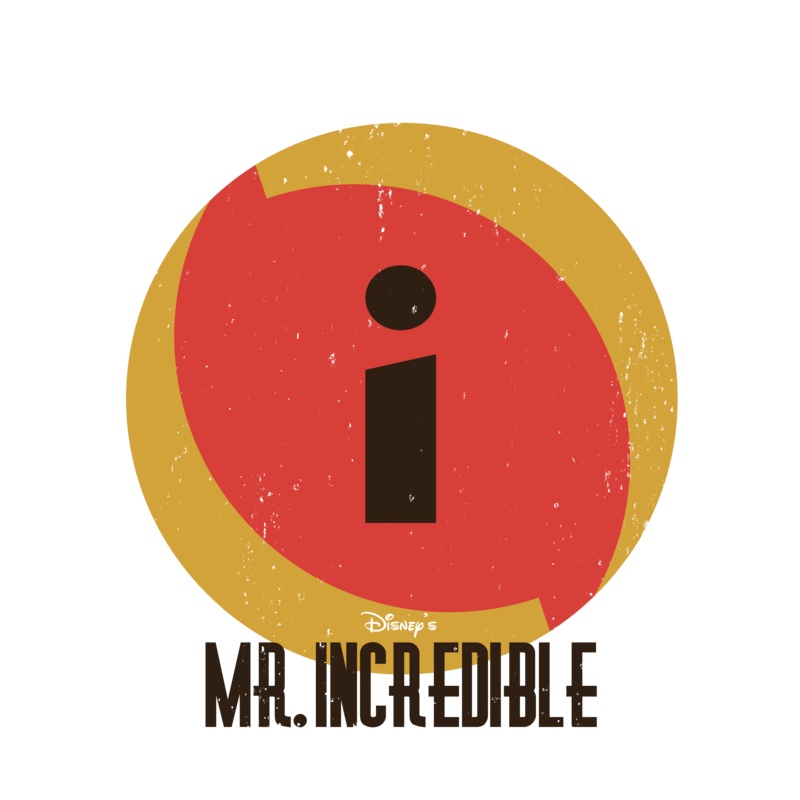 I’ve also made a logo for the fictional company ‘Disney Travel Organisation’ to make it one with the rest of the story found on the intro page. Ladies and gentlemen, here is the forth post of the ‘Circle Characters’ serie, with the one and only Donald Duck in the spotlight. I’m sorry, I don’t have the time to write some words, so more information will come soon. Use this T-shirt design for free. 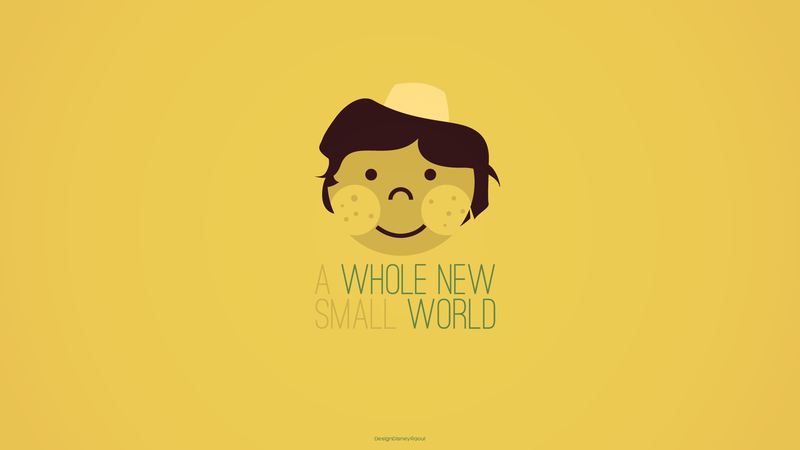 Here is a brand-new wallpaper: A Whole New Small World. The design is inspired an based on the movie Aladdin with a great song ‘A Whole New World’ and the world famous attration ‘It’s A Small World’. Do you feel where I’m going? I’ve fused these 2 top-creations and made my own version of it. The design has a clean and simplistic look to it. The eye-catcher is Aladdin in the typical style created by Mary Blair (famous of her work for It’s A Small World), with the phrase ‘A Whole New Small World’. The words ‘Whole New World’ refers to the classic song from the movie. 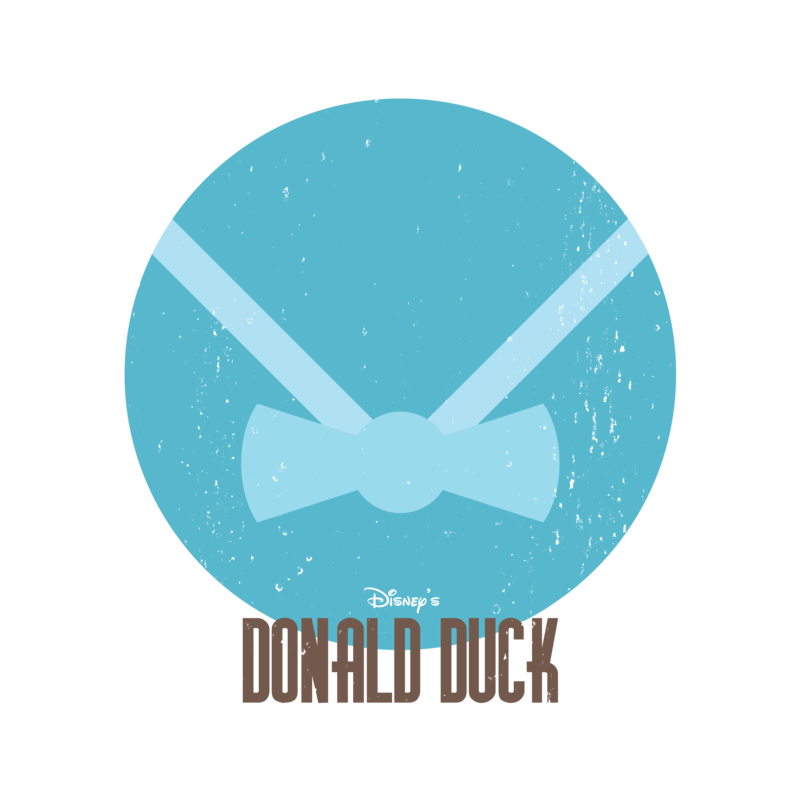 This site is moved to Designdisneyraoul.nl. 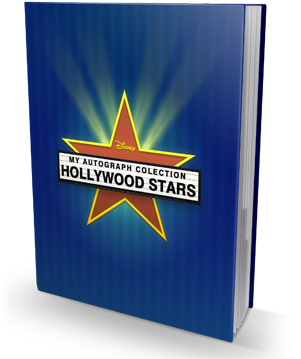 To download more autograph books and other designs please click the link. Thanks for reading my blog. Please tell me your thoughts about my creations.